This September I will be running in the Beat the Blerch Marathon in Carnation, Washington. I’d like to knock 26 minutes off my time in Chicago and dive under 5 hours. Several of the race time predictors say that should not be a problem if I keep up with my training. I don’t think I’m quite ready for Intermediate, so I will follow Novice 2 again. I’m getting better at listening to your advice to keep the “easy” days easy, and I really believe that has been a big part of my progress with the speed sessions. 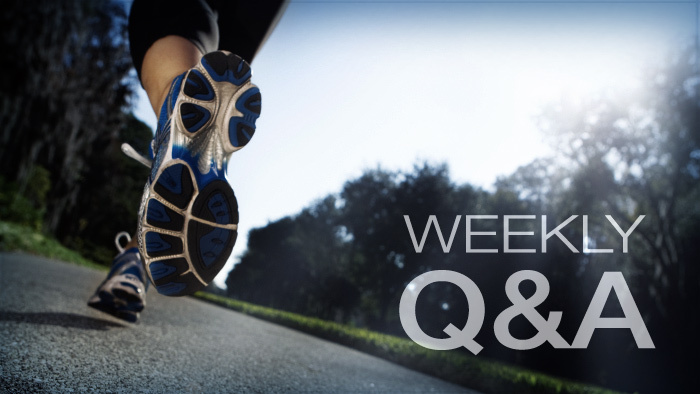 My question comes regarding the half marathon at the end of week 9: Should I treat that as a race and run at my best half-marathon pace, or should I treat it as a normal weekend long run? I’d like to know what my fastest half marathon time would be, but I don’t want to push too hard if that’s supposed to be a normal long run. Congratulations on your progress. Given all that you have accomplished in the last two years (especially weight loss), your achievement almost pushes Meb Keflezghi’s victory in the 2014 Boston Marathon into second place. (Knowing Meb, he would agree.) The most important lesson others reading this can learn from you is to run the “easy” workouts at an easy pace. You can’t do the hard workouts properly unless you go into them well rested. Now your question. Midway through my 18-week marathon training programs, I usually suggest that runners do a half marathon. Notice emphasis on the word “suggest,” because I really do not care whether you race the half or merely run the half. Given your familiarity with race time predictors (and I usually refer runners to those by Greg McMillan), racing a half marathon would allow you to pinpoint your race pace. Or, if you already have a handle on that, you could test your projected marathon pace by running that pace in the half. If you choose that route, consider following race pace for the first 10 miles of the 13.1-mile run, then finishing at a faster (confidence-building) pace. A third option would simply go the distance at a comfortable pace. Three choices: I’ll let you make the final choice, but I lean toward the race-pace option in the middle.